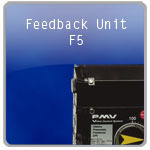 PMV is the leading supplier of positioners that are simple, rugged, and reliable. 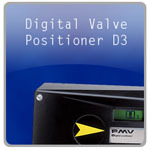 PMV is one of the only stand-alone valve positioner and accessory manufacturers in the world. 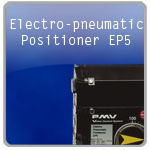 With a complete product range of positioners and mounting kits, PMV positioners can be mounted on a vast majority of valve/actuator packages. Our product line includes single acting, double acting, pneumatic, electropneumatic, fail safe, anti-vibration, explosion proof, intrinsically safe, and digital. Special housing such as stainless steel or Tufram coated are also available. 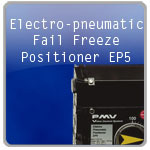 Please click on one of the button bellow for more details or visit the valve postioner page. 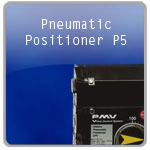 PMV develops, manufactures and markets industrial valve positioners and switchboxes world-wide. The approached market is the process industry including pulp and paper, oil and gas, power, refining and chemical process. PMV holds an ISO 9001-2000 certificate of conformity which guarantees a high product standard and dependable delivery.